Are you one of the many homeowners here who wonders if you really need maintenance services? After all, your air conditioner seems fine, why spend any extra money maintaining it, right? Wrong. This is exactly the type of thinking that will send you headfirst into a breakdown. Helps Your AC Last Longer: You need maintenance services because a well-maintained air conditioner lasts much longer into the future than a poorly maintained air conditioner. Think about it like this, the way you maintain your health contributes to your lifespan—if you eat well, exercise daily, and avoid detrimental habits like drinking or smoking as often as possible, it’s more likely that you’ll live a longer, healthier life than someone who doesn’t mind their health and indulges in unhealthy practices. The same rule remains true for your air conditioning system—a well-maintained system lasts much longer. Boosts Your Efficiency: A well-maintained air conditioning system is a system that will run at high-efficiency levels. When your air conditioner runs at peak efficiency, that means that you’ll see lower energy bills too. You can think of your maintenance services as an investment in your bottom line. 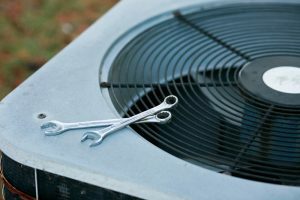 Reliable Operation: When you maintain your air conditioning system you’re fortifying this system again any problems like a breakdown or an unexpected and inconvenient repair issue. Problems like these are costly so make sure that you schedule maintenance services annually to keep them at bay. Our technicians are incredibly skilled and know how to get your system up and running. If you’re interested in this program, you can contact our team for more information. If you’re ready to schedule your air conditioning maintenance services this spring, make sure you call the team you can trust—Cowboys Air Conditioning & Heating. Contact us to schedule an appointment today.